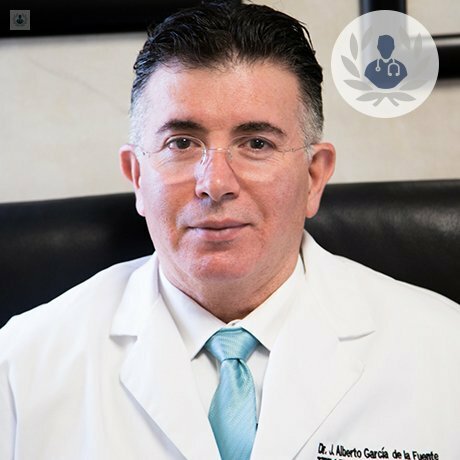 Dr. José Alberto García De La Fuente is an expert in, Cerebral aneurysm has more than 30 years experience in various prestigious institutions such as the Christus Muguerza Hospital. He was trained as a Surgeon of the Autonomous University of Ciudad Juárez de Chihuahua and he specialized in Radiology and Image obtained the certification of the Mexican Council of Radiology and Image . He is currently part of the medical team of the Christus Muguerza High Specialty Medical Center of the city of Monterrey; where he also has a career as a teacher in the Faculty of Biological Sciences of the Autonomous University of Nuevo Leon (UANL) . Thanks to this, Dr. García De La Fuente is recognized as one of the best medical specialists in Radiology in Monterrey.